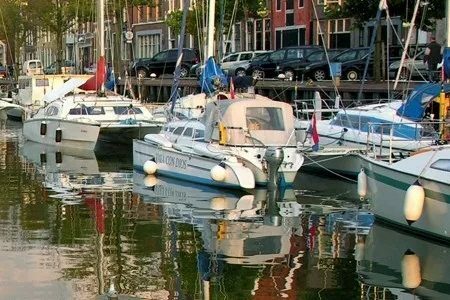 The Catamaran and Trimaran Club of The Netherlands are celebrating their Golden Jubilee this year and we are cordially invited to join them. From Thursday July 5 until Sunday July 8 the CTC hope to welcome about 50 multihulls of all kinds. The west side of the Haaven, from the lighthouse to the bridge is reserved for the event, a long quay with alongside mooring. The event would make a nice starting point for a holiday along the Belgian and French coasts, or an exploration of Zeeland.